No available offers by Waa Cow! 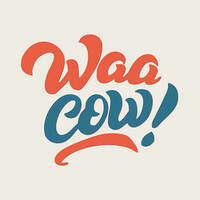 Waa Cow! prides themselves with serving premium Japanese-inspired rice bowls in a fast-casual setting. Embark on a journey through the East with delicacies like mentaiko beef sushi, wagyu beef rice bowls, aburi bara chirashi, creamy goma salmon "sushi bowl", and plenty more.